Kiki McDonough necklace from the Fantasy Collection. 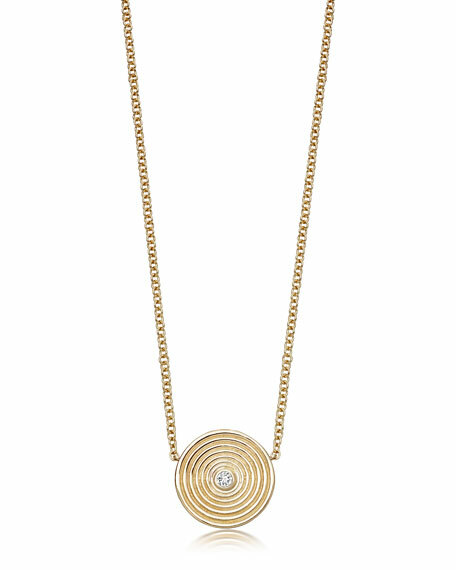 Integrated round pendant with concentric design. Bezel-set round white topaz at center. 0.04 total topaz carat weight. Approx. 16"L; pendant, 16mm (0.6"D).